Chocolate and mint – unite! 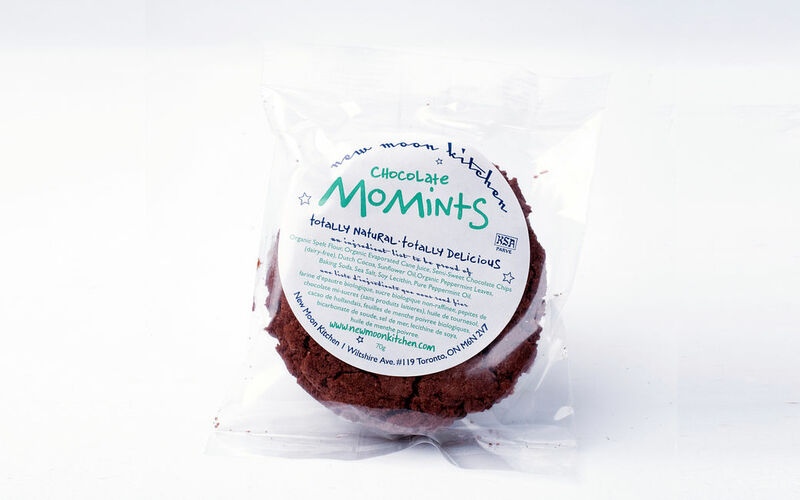 Dark cocoa, chocolate chips, and pure organic peppermint leaves all baked together in a brownie-like cookie. Organic spelt flour, organic evaporated cane juice, semi-sweet chocolate chips (dairy-free), Dutch cocoa, sunflower oil, organic peppermint leaves, baking soda, sea salt, soy lecithinm pure peppermint oil.